1968 - The Jackson 5ive's first actual single, the Steeltown recording of "Big Boy" was released. This was supposed to be the story of the child-prodigy Michael Jackson's first studio recording; the earliest known studio recording of Michael Jackson and his brothers, cut in Chicago in 1967, which had been lingering on a shelf for two and a half decades has been rescued from tape. Steeltown Records cofounder Gordon Keith, 70, is the man with the largest body of tangible evidence to back up his claim: he estimates that "Big Boy" sold more than 60,000 copies. 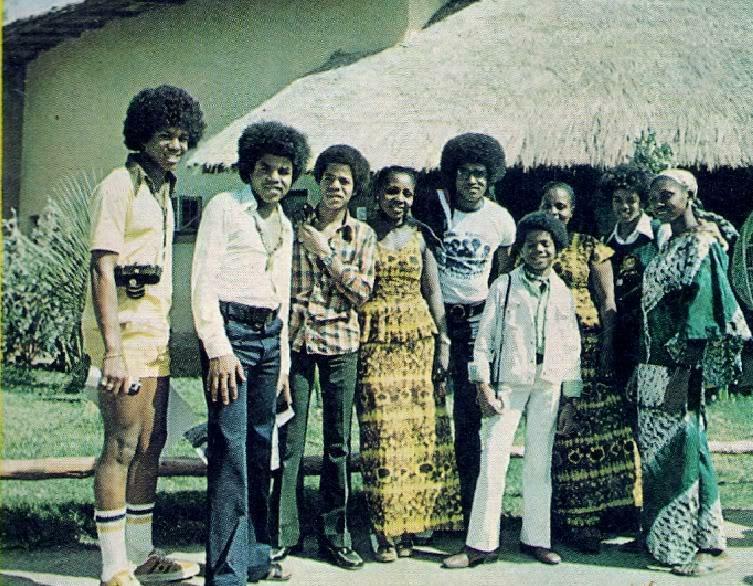 After school one afternoon in November 1967, Michael, 8, Marlon, 10, Jermaine, 12, Tito, 14, and Jackie, 16, piled into the family Volkswagen with Joseph and rode across the state line to Chicago's West Englewood neighborhood, parking in front of Sunny Sawyer's recording studio on West 69th. In a single lengthy session the group recorded four songs, all of which Keith says were already in their repertoire. "Big Boy" was by saxophonist Eddie Silvers, who at the time was playing in a group called the Soul Merchants and working as music director for Chicago R & B label One-derful Records. Its eventual B side, "You've Changed"—the only Steeltown track the Jacksons would record again for Motown—is by Gary native Jerry Reese. Despite the kids' professionalism, the session was grueling, in part because the Ampex's dead track meant they had to stop more often to mix down and free up space on the tape. As the night wore on the boys grew weary. "I remember looking at the clock—it was 10 or 11 at night—and looking at these young kids up that late who had been at school earlier," says Bridgeman. "I left the studio and went and brought sandwiches for them, because they hadn't eaten since I don't know what time. They had been too intense with the recording to stop to eat." Though the Jacksons finished all their tracks at that marathon session, Bridgeman says he and two other vocalists, Solomon Ard and George Rias, returned to Sawyer's to redo some backups. Keith recalls bringing the tapes to Pressner's studio in Gary for mixing and mastering. Keith sent the master to the Summit pressing plant in Willow Springs, Illinois, and when the records came back he set the single's official release for January 30, 1968. 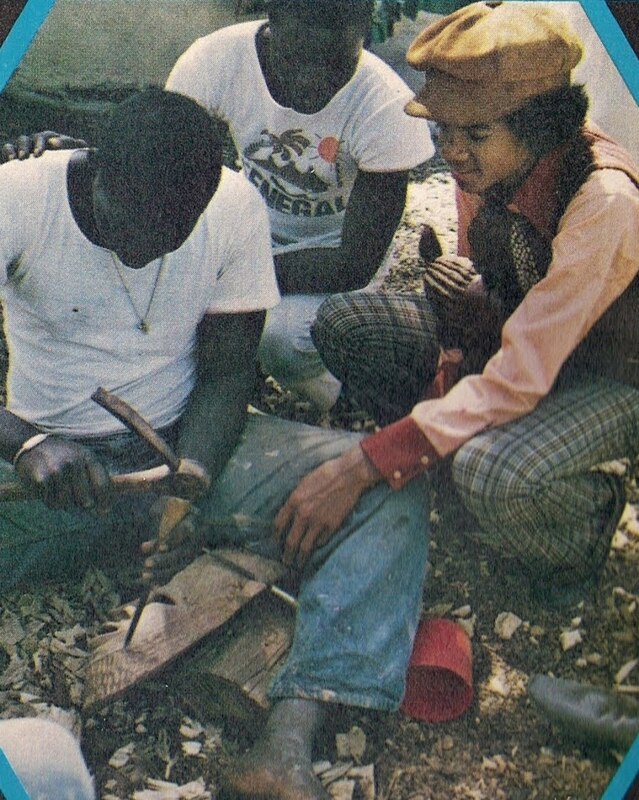 The Jacksons began selling 45s at shows, and Steeltown started working to get local radio to give "Big Boy" a spin. He'd composed the perfect song for little beyond-his-years Michael: with its combination of juvenile themes (skateboards, Mother Goose) and adult yearning, "Big Boy" would serve as a template for much future black bubblegum music. Silvers's excellent arrangements shine through the slightly murky mix and showcase the somewhat raw, soulful vocal style Michael had developed watching R & B veterans from the wings of the Regal. Though Keith contends that nine-year-old Michael was "a better singer then than what he ended up to be," it's clear from this recording that Motown's infamously rigorous training regimen still had something to offer him. All the same, his slightly nasal, borderline flat singing and odd enunciation (fairy tales is pronounced "fairy ta-wos") add to the single's considerable charm. The song was neither a critical nor commercial success, but that was the brothers' first record. From here, it seemed, anything might be possible. What a memorable moment it must have been for them, then, when the family gathered around the radio to hear the broadcast of that first recording for the first time. Michael recalled that as it played, they sat in the living room, stunned. "Then, when it was over, we all laughed and hugged one another. We felt we had arrived. This was an amazing time for us as a family. I can still feel the excitement when I think back on it." 1971 - The Jackson 5ive in concert Columbus, Georgia. 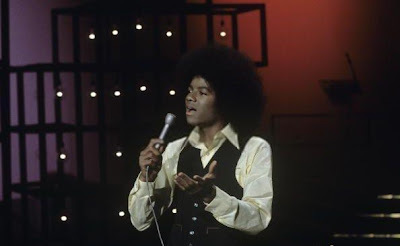 1974 - The Jackson 5 perform Dancing Machine at the Sonny & Cher Comedy Hour. 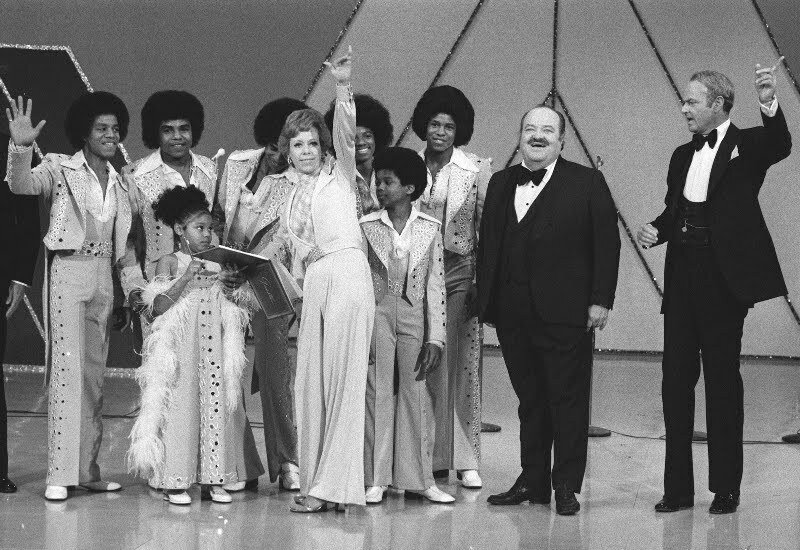 Sally Struthers and The Jackson Five, made a guest appearance at the Sonny & Cher comedy hr, with cameo appearance by Tennessee Ernie Ford. Sonny and Cher open the show with "Take Life a Little Easier" and banter about the theater being Sonny's first love. In a comedy blackout, an Arabian sheik (regular Ted Zeigler) auctions off two captured maidens (Cher and regular Teri Garr) to the highest bidders. 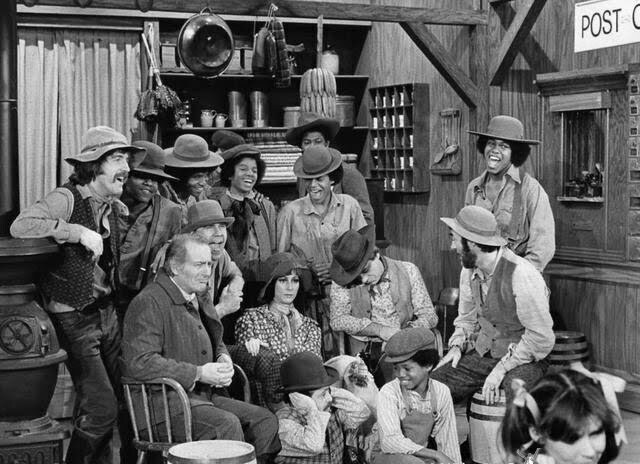 After, the Jackson Five perform "Dancing Machine", they also takes part in "The Window On the World", a montage of sketches and one-liners based on current events and individuals in the news, including Henry Kissinger's Geneva meetings, a report on famed ecologist Euell Gibbons, the domestic problems of a woman married to a bear, and an attempt by a robber to hold up a gas station that is operated by appointment only. "The Boogie Woogie Sisters" -- Cher, Sally and regular Teri Garr spoof The Andrews Sisters as fairy tales get the satirical treatment. In comedy sketches, Cher plays an aging Goldilocks, with Sally as her youthful replacement; the golden-haired Rapunzel (Cher) is imprisoned in a turret by an evil prince (Sonny); and Stuffed Sally the Ravon lady (Sally) drops by Raggedy Sonny and Raggedy Cher's doll house with her bag of goodies. 1981 - Michael receives 2 awards at the 8th Annual American Music Awards at the ABC-TV Studios in Hollywood. 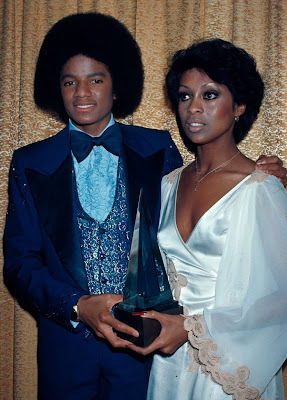 Michael won Favorite Male Artist (Soul/R&B) and Favorite Album (Soul/R&B) for Off the Wall, (one of them is presented by sister LaToya) which was also nominated for Favorite Pop/Rock Album (won by Billy Joel). He also pays tribute to Chuck Berry. 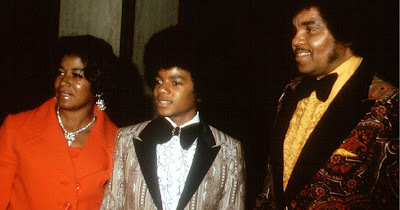 Michael, dressed in a heavily beaded V-neck sweater of deep red rhinestones with black bands on the sleeves and a black bowtie, attended the ceremony with his date for the evening, Diana Ross. 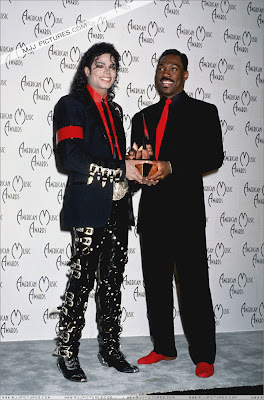 1989 - Eddie Murphy presents Michael with the Special Award Of Achievement at the 16th American Music Awards held at the Shrine Auditorium in Los Angeles, Ca. For his pioneering efforts in the field of music videos epitomized by 'The Triumph', a pre 1980's breakthrough in concept and special effects, and THRILLER, an innovative combination of drama, music and dance. The Video Pioneer Award is given to Michael Jackson on the occasion of his new feature length anthology, Moonwalker becoming the largest selling music home video of all time. 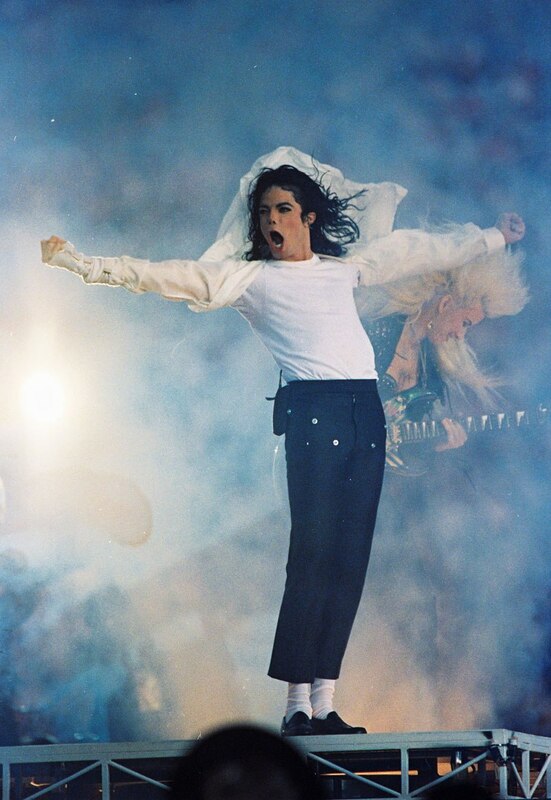 Because his album, BAD, is the first ever to generate five number one singles, because it has been a number one best seller for a record breaking twenty five countries around the world, and because it has been the largest international seller in each of the last two years, the American Music Award of Achievement is presented to Michael Jackson on january 30, 1989. 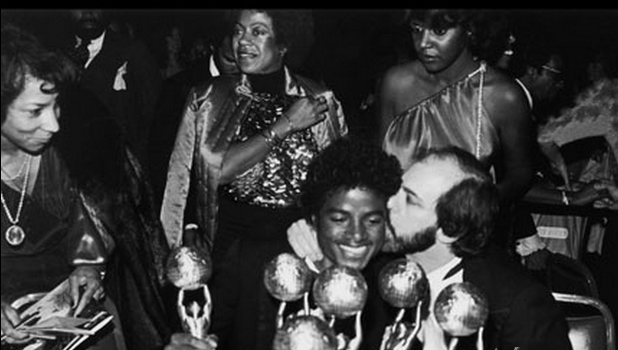 Both of these special awards were presented to Michael by Eddie Murphy, at Michael's request. 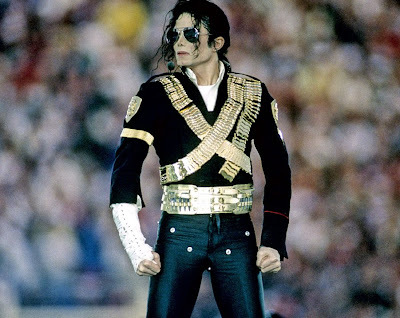 Before introducing Michael, Murphy narrated a 14 minute tribute to Michael Jackson showcasing his international tour and recapping the BAD album's five number one hit singles. Walking shyly toward center stage to gather his awards, the audience greeted Michael with deafening applause and a standing ovation. Michael was dressed in black and red, buckles, and no sunglasses. I'd like to thank God, who makes all things possible. I'd like to thank my mother and father, Katherine and Joseph Jackson. I'd like to thank Berry Gordy, who gave me my first professional start in show business, the Epic family, Walter Yetnikoff, Larry Stessel, Glen Bundman, Frank Dileo, Quincy Jones, and Bruce Swedian. I love you. And the public. Thank you. While he was very shy, Michael appeared to be enjoying himself and seemed to be genuinely honored with the awards, the tribute, and the overwhelming response from the audience. 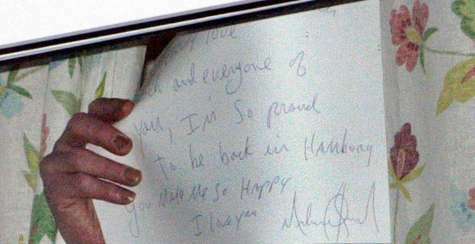 2006 - Michael and his children left Hamburg. Unable to go out because of the fans & reporters in front of the house, Michael, Anton, Grace & the kids leave Hamburg and fly to Venice. Before he entered the car, he stopped shortly to wave to the fans. They land in Marco Polo airport and travel to Florence where they check in Weistein Excelsior Hotel. While in Hamburg, a fan had his hat taken so that Michael could sign it. But it seems that Blanket, who was there, admired the hat so much that he was allowed to keep it! Michael then took Blanket's t-shirt signed it and gave that to the fan instead! The shirt read "Blankets T-Shirt love Michael Jackson." 2009 - Christian Audigier visits Michael at his Bel Air home. 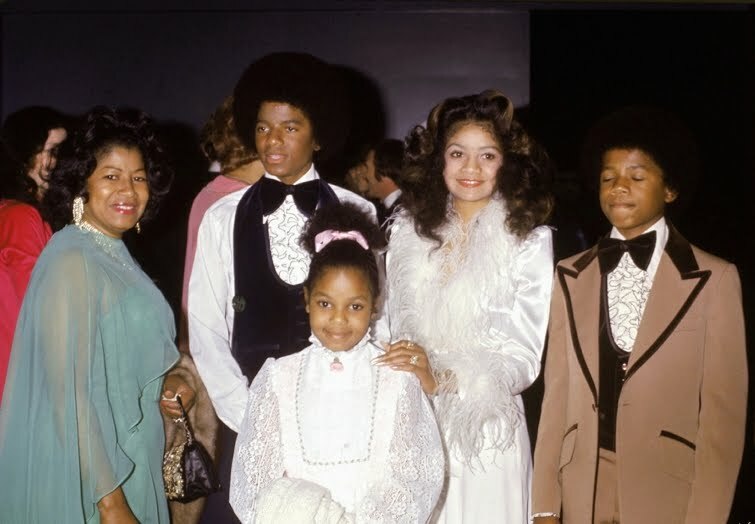 1973 - Michael receives the Golden Globe Award for the "Best Original Song" in a movie for his song, "Ben" at the 30th Golden Globe Awards ceremony held at the Beverly Hilton Hotel in Beverly Hills, California. The theme song of the 1972 film, "Ben", is a melancholy ballad to the film's title character, a trained/telepathic rat. 1984 - Michael was released from hospital. Later, Michael received US$ 1'500'000.-- from Pepsi which he immediately donated to the Michael Jackson Burn Center. On February 27, 1984 MTV previewed the two 60 second commercials free of charge. The next day, February 28, 1984, at the 26th Annual Grammy Awards, The Jacksons' Pepsi commercials were aired during the telecast and are amongst the most successful and most popular ads ever, and the first and only set of advertisements ever to be included in the weekly "TV Guide" listings. 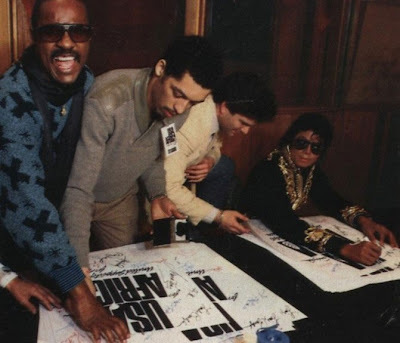 1985 - The last recording session for the We Are The World was held on January 28, 1985. The historic event brought together some of the most famous artists in the music industry at the time. 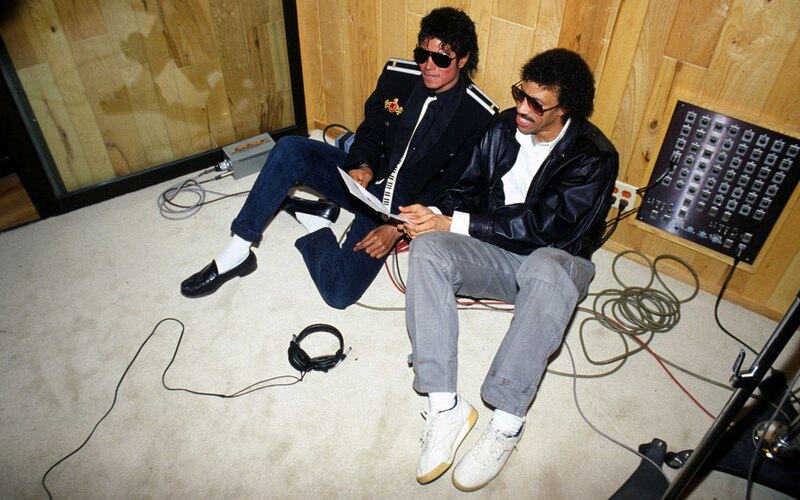 Two hours after the 12th Annual American Music Award ceremony, Michael and 44 other artists gathered secretly for 10 hours at A&M Recording Studios in Los Angeles to record We Are The World. 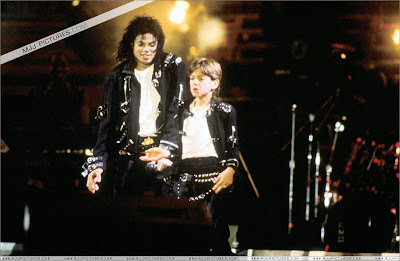 The song was written by Michael Jackson and Lionel Richie at Michael's home in early 1985. They began work on the song's creation at Hayvenhurst, the Encino home of Jackson and his family. For a week, the two spent every night working on lyrics and melodies in the singer's bedroom. They knew that they wanted a song which would be easy to sing and memorable. The pair wanted to create an anthem. Richie only wrote a few lines for the track as Michael wrote 99% of the lyrics. And it was not until the night of January 21, 1985, that Richie and Jackson completed the lyrics and melody of We Are the World within two and a half hours, one night before the song's first recording session. Michael: "I wrote the song with Lionel Richie after seeing the appalling news footage of starving people in Ethiopia and the Sudan." He arrived after Steve Perry of Journey, with manager Frank Dileo and his bodyguard, Bill Bray. Michael arrived at the studio early so he could record the chorus by himself, to be used as a guide for the other artists. It is Michael's vocals that the other artists are listening to in their headphones when learning the song. Most of the other artists were scheduled to arrive at the studio following the American Music Awards. 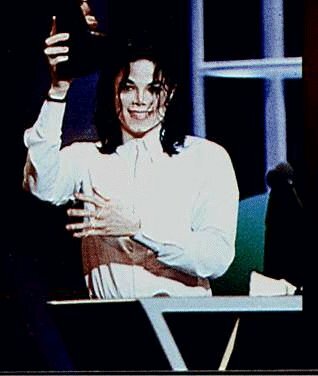 Michael skipped the awards where he had four nominations. For the second consecutive year, THRILLER had been nominated for Favorite Album and Favorite Black Album. 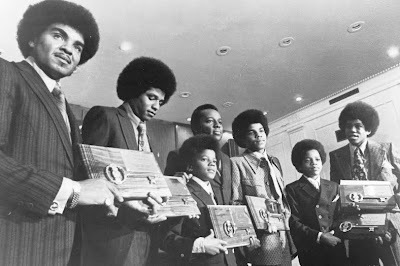 Michael had been nominated for Favorite Black Male Vocalist, and the Jacksons were nominated for Favorite Group. It was just as well he didn't go, he would have gone home empty handed. The video cassette, We Are The World: The Video Event shows Michael leading the all-star group through the song, and offering individual help on the lyrics to Huey Lewis, a last minute soloist chosen when Prince failed to show up. Michael's shyness and discomfort around crowds is evident in this tape. When he's not directly involved in the activity at the moment, he can often be spotted standing alone quietly in the background. "I think what's happening in Africa is a crime of historic proportions... You walk into one of the corrugated iron huts and you see meningitis and malaria and typhoid buzzing around the air. And you see dead bodies lying side by side with the live ones. In some of the camps you see 15 bags of flour for 27,000 people. And I assume that's why we're all here tonight." The recording session began at 9:00 p.m., and lasted the entire night. The solo parts of the song were recorded without any problems. Michael didn't leave until 8:00 a.m. the next morning, when the final version of We Are the World was completed.. Upon entering the recording studio, the musicians were greeted by a sign pinned to the door by Quincey Jones which read, "Please check your egos at the door". The 45 artists who comprised United Support of Artists for Africa, and who left their egos at the door, were also greeted by Stevie Wonder, who proclaimed that if the recording was not completed in one take, he and Ray Charles, two blind men, would drive everybody home. The supergroup included a wide range of artists, with at least one representative from various categories of music; pop, rock, R&B, and country. Dan Aykroyd, Harry Belafonte, Lindsey Buckingham, Kim Carnes, Ray Charles, Bob Dylan, Sheila E., Bob Geldoff, Daryl Hall and John Oates, and James Ingram were all part of USA for Africa. 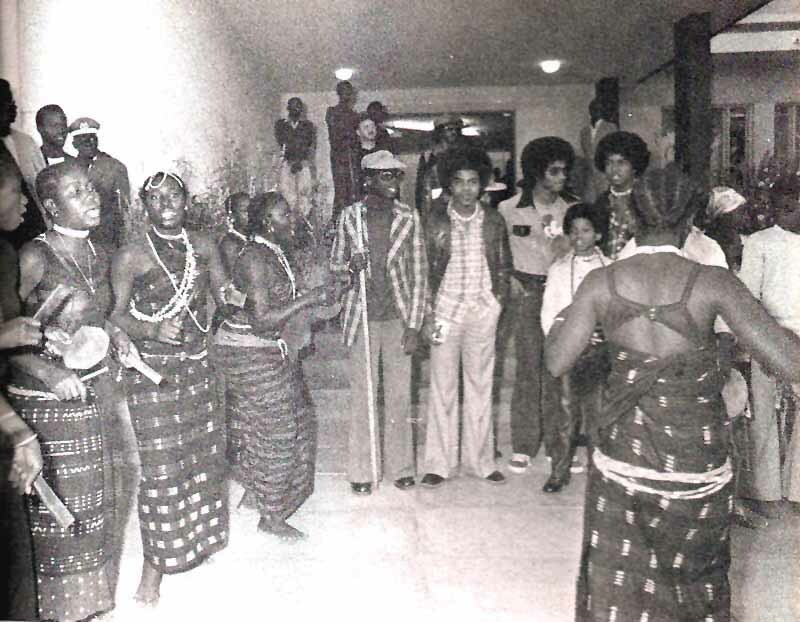 Perhaps the most widely represented music in USA for Africa was Jackson music, with Jackie, LaToya, Marlon, Michael, Randy, and Tito all contributing to the famine relief single. The balance of USA for Africa was made up of Al Jarreau, Waylon Jennings, Billy Joel, Cyndi Lauper, Huey Lewis and the News, Kenny Loggins, Bette Midler, Willie Nelson, Jeffrey Osborne, Steve Perry, the Pointer Sisters, Lionel Richie, Smokey Robinson, Kenny Rogers, Diana Ross, Paul Simon, Bruce Springsteen, Tina Turner, Dionne Warwick, and Stevie Wonder. 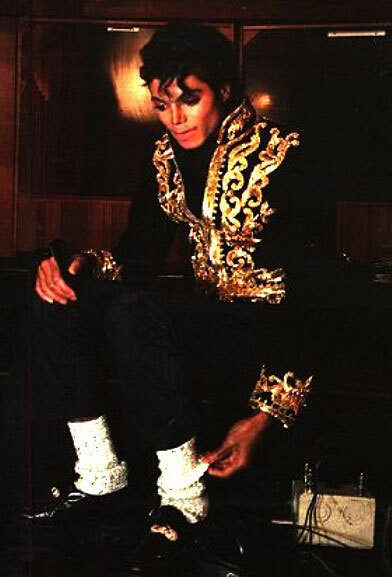 The song was produced by Quincey Jones and the associate producer was Tom Bahler, who wrote She's Out of My Life from Michael's Off The Wall album. Keyboards on We Are The World are handled by another Jackson associate, Greg Phillinganes. 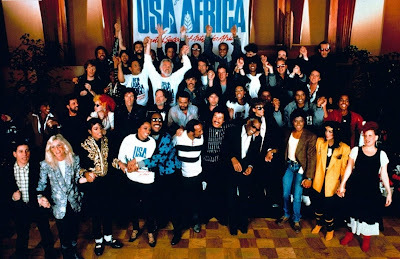 The recording session resulted in a single, a video and a video cassette documenting the making of the single, We Are the World: The Video Event. A double album made up of the We Are The World single, and previously unreleased material from some of the participating artists was also released, Michael did not have a song included on the album. The proceeds from the sale of these items along with proceeds from sales of books, shirts, buttons, posters, and other merchandise all went directly to the famine relief fund. 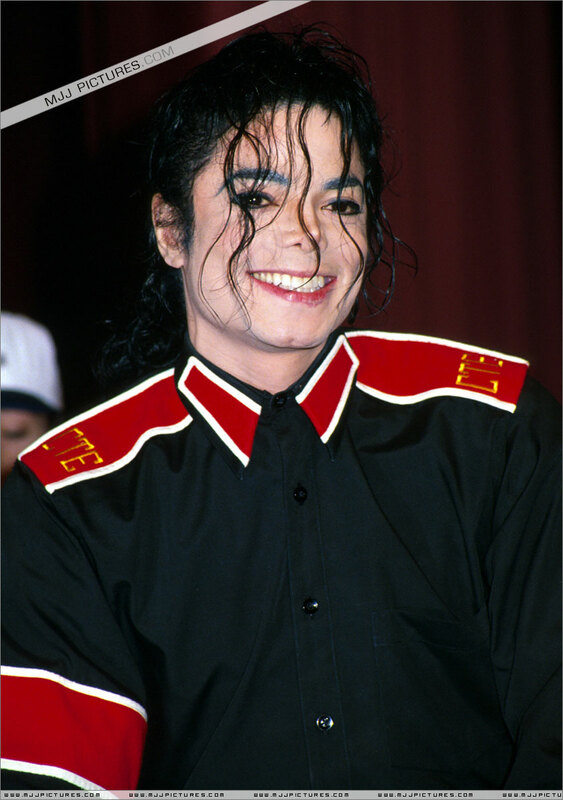 The promotion and merchandise aided the success of We Are the World and raised over $63 million for humanitarian aid in Africa and the US. We Are The World - The Video Event was the 9th best selling video cassette of 1985. 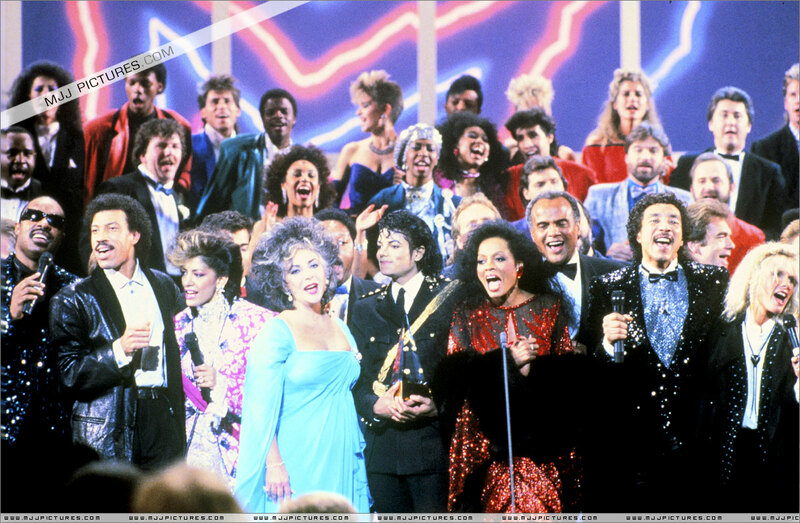 On March 7, 1985 "We Are The World" was released, as the only single from the album, and made music history. A worldwide commercial success, it topped music charts throughout the world and became the fastest-selling American pop single in history. We Are the World became the first ever single ever to be certified multi-platinum, which received a 4× certification by the RIAA. It debuted on Billboard's Hot 100 at #21 and three weeks later, the week of April 13, 1985, it was the #1 song. The single stayed at #1 for four weeks. With sales in excess of 20 million copies, it is one of the fewer than thirty all-time singles to have sold 10 million (or more) copies worldwide. 2000 - Just after the '00 Superbowl XXXIV, Michael's performance of '93 was chosen as the best performance of ALL the past Super Bowl performances by "USA Today" Gordon Forbes. 2006 - Michael is still in Hamburg. ... love each and everyone of you, I'm so proud to be back in Hamburg. You make me so happy. I love you. 2007 - Michael takes Prince, Paris & Blanket to see the High School Musical at the Thomas & Mack Center in Las Vegas. The class group of High School Musical was a surprise visit from pop star Michael Jackson in Las Vegas. Michael Jackson wanted to meet members of the group personally and even took along their children. Security was strengthened when Jackson and his company entered the building. "He is taller than expected, spoke really soft and wore sunglasses the whole time," they reported. Jackson not only congratulated the members of the High School also got to see a presentation of the group. Evidently turned the Thomas & Mack Center in a VIP area with an awning to protect the team of singer of the curious. 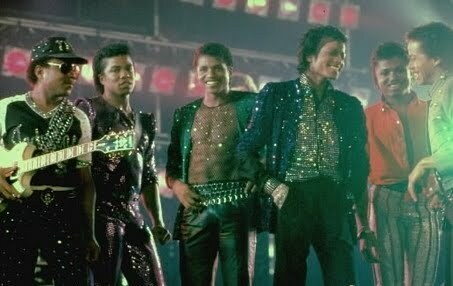 1979 - The Jacksons perform a concert in Bremen, Germany on Destiny tour. 1984 - Somebody's Watching Me by Rockwell Gordy featuring Michael on the title track is released by Motown. 1990 - Michael attends the unveiling of a painting of himself titled The Book made by Australian artist Brett Livingstone Strong at the Beverly Hilton Hotel in Los Angeles, CA. “The Book” is said to be the only portrait Michael personally sat for during his lifetime. The 40-inch by 50-inch portrait was unveiled in the presence of Mr. Hiromichi Saeki who paid $2,100,000 for the original, the most expensive portrait of a living person. 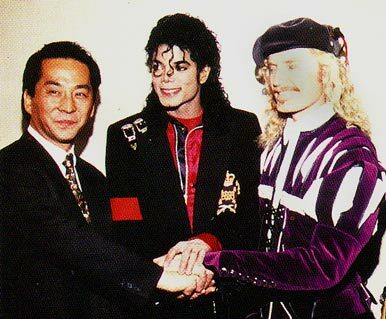 Mr. Saeki was one of the most influential Japanese merchandisers and concert promoters of Michael Jackson. Michael is draped in a “Renaissance Effect” within this portrait and even deeper inside is standing, posing for Brett in a slightly earlier dimension of time. The Book capture one of the most talented musicians in the world, painted by one of the most talented artists of our time, Brett-Livingstone Strong, hailed by the King of Pop as “A modern day Michelangelo”, in the ultimate expression of beauty – both musically and artistically, remembering Michael at the pinnacle of his career. Whether by fate or fortune we have here two of the greatest artists of the 21st century both forever memorialized in their greatness, captured in a moment of life entitled “The Book” and hereinafter available for the enjoyment and appreciation of all future generations and patrons of the Arts. The mystique of this portrait draws you in. Take a closer look – it is a portrait within a portrait. 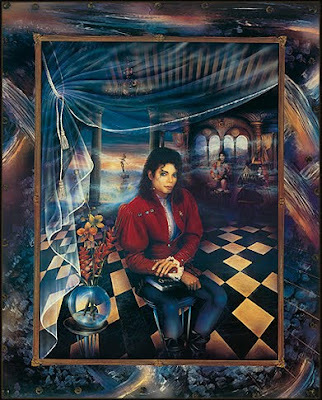 The portrait depicts the King of Pop as a contemporary Renaissance man, dressed in red velvet holding a journal of thoughts and sketches, in a fairy-tale-like setting, with a statue of Peter Pan and another painting of Michael, in the background. "We called it, 'The Book,'" Mr. Strong said. "What are you going to put in 'The Book' today, Michael?'" The backdrop is Neverland, with an image of Tinkerbell. The painting has touches of Vermeer, as that was one of Mr. Jackson's favorite painters, Mr. Strong said. 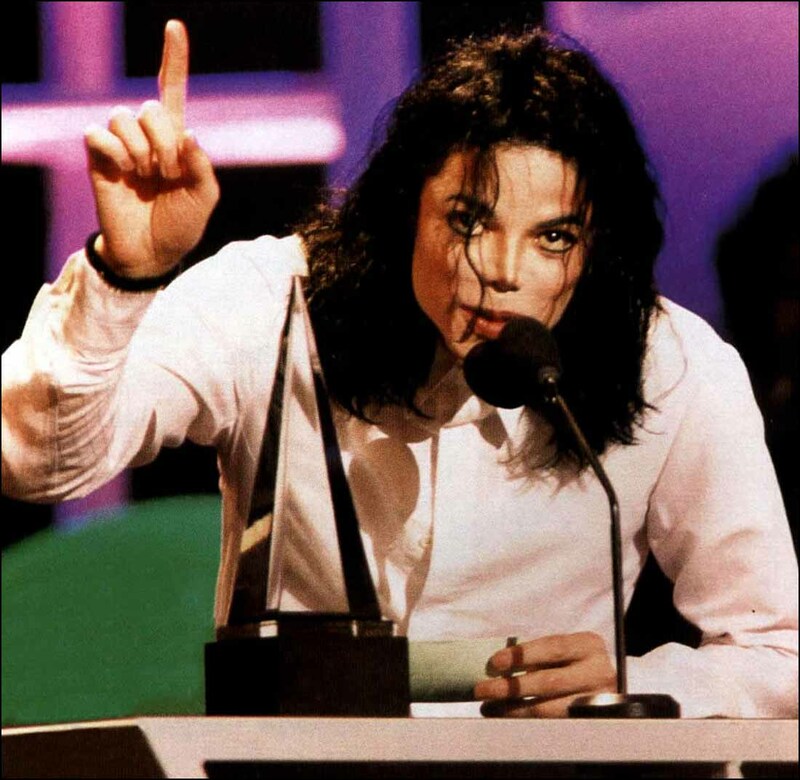 1992 – Michael Jackson contributes to Law Roul`s telethon with a taped performance of “Heal the World”. 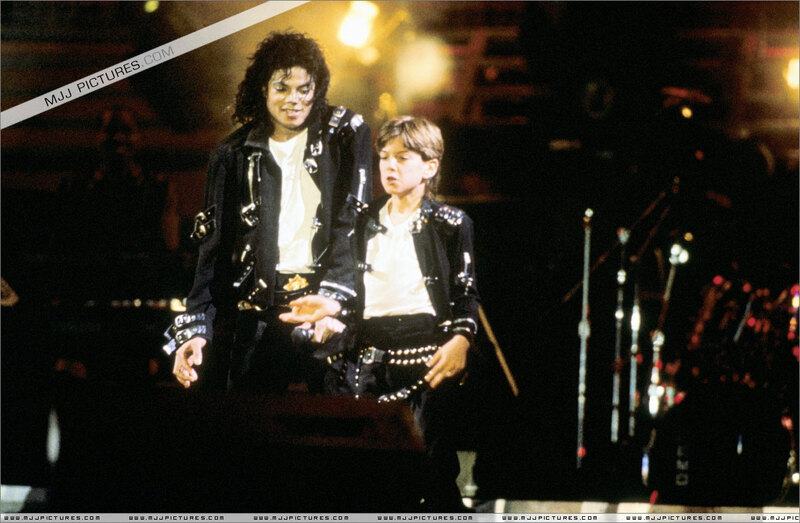 The performance was taken from a Dangerous Tour Concert and was combined with footage of Michael`s visit to Africa. 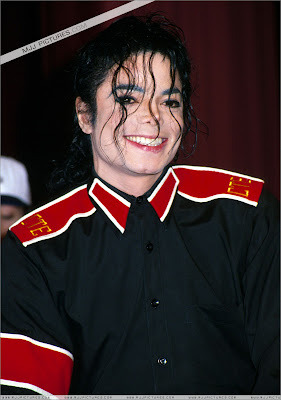 1993 - Michael attends the Superbowl XXVII Pre-Show Press Conference held at the Century Plaza Hotel in Los Angeles, Ca. 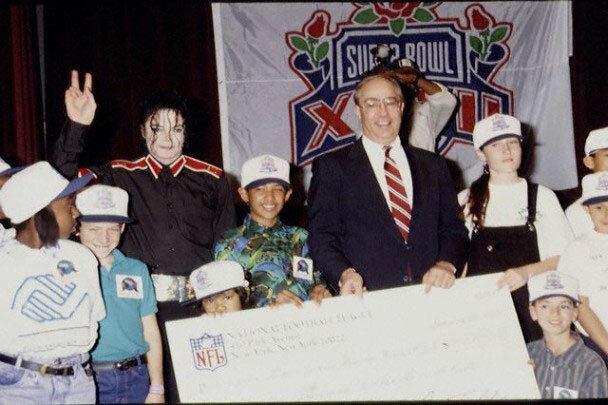 Michael accepts a cheque of $100 000 from the NFL and Frito Lay (Sponsor of the Superbowl). Neil Austrian, president of NFL, presents him with a custom-made Superbowl jacket. He also receives 500,000 dollars from BEST Foundation for his Heal The World Foundation. 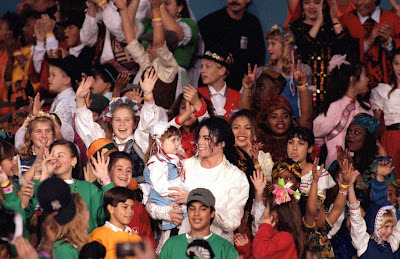 Heal LA, new United States Children's Relief Initiative is announced by Heal The World, Michael Jackson and Former President Jimmy Carter in Los Angeles. This collaborative effort - beginning with "Heal LA" sustained by "Cities in Schools", "Big Brothers/Big Sisters", "BEST Foundation", "Watta Health Foundation", and "Partnership for a Drug Free America" - will provide immediate action to help solve the pressing needs of America's inner-city children and youth through instructive programs featuring AIDS prevention, a substance-free living. The initial Los Angeles effort will include drug prevention/education, as well as counseling, mentoring and immunization campaigns. "We have to get out the message of the need to heal our children and heal the world... to recognize that we need each other and must care for one another, help inspire us to develop this relief effort for children. To make a real difference, we must all care and commit to be a part of the solution. I know you all share my concern for inner-city children who are spread all around us. We must join together to make this world a better place for each of them. "Heal LA" is only our first step in making things better. I'm very happy to tell you today that former President, Jimmy Carter, and I are going to be working together to help children in cities all over our country. President Carter will join me as co-Chair of our new national Heal Our Children Initiative. We'll work together here in L.A. to start, then go city by city to heal children all over America. I would like to express my love and appreciation to all of you who have already been so generous to this important new Heal The World program." 1994 - After 6 months of hard negotiations, the lawyers representing both sides in the molestation case against Michael finally reached agreement. An out of court settlement, which both sides have been working towards, is agreed for an undisclosed sum. 2001 - 15 year old Afro-Norwegian boy Benjamin "Benny" Hermansen was stabbed to death by a group of neo-Nazis in Oslo, Norway. 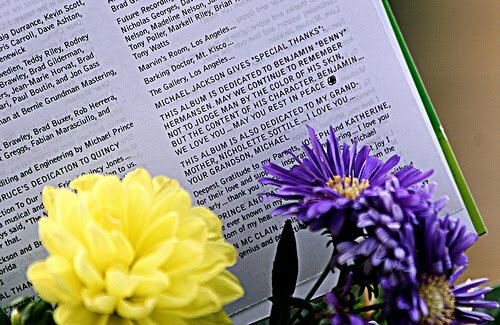 Michael Jackson dedicated his Invincible album to Benjamin. The reason for this has partly to do with the fact that the Holmlia boy Omer Bhatti and Jackson were close friends, and Bhatti was at the same time a good friend of Benjamin Hermansen. 2002 - Michael Jackson's Cry peaked at #2, on the Billboard Hot R&B/Hip-Hop Songs chart, it was held from the top position from Ja Rule and Ashanti's "Always on Time" 2001 single. 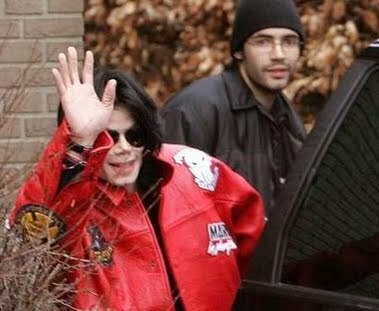 2006 - Michael, Grace & the kids fly to Hamburg on a private visit the Shleiter family but upon arriving to their house, fans et reporters arrive after hearing the news of his arrival on the radio. Amid intense media coverage police cordoned off the home of his 23-year-old host to guarantee their safety. Around 100 fans and media representatives were waiting in front of his hosts house today to catch a glimpse of Michael, who prefered to stay in the house though. 2007 - Michael attends Lance Burton's 7 p.m. show (Monte Carlo) with Grace & the kids. 2008 - Michael received a Lifetime Achievement Award at the 2008 NRJ Awards, in the year which he will mark the 25th Anniversary of ‘Thriller’. It’s hard to believe that 25 years ago, Quincy Jones and I embarked on an album named “Thriller.” To be able to say that “Thriller” still holds the record as the biggest selling album of all time, is just mind blowing. I have you, my fans throughout the world to thank for this achievement. Though this award tonight honours me for my lifetime achievements, there is still much more to come from Michael Jackson. My passion for music has never stopped. And for those who don’t know, I’ve been in the studio recording Thriller 25th Anniversary album, with a lot of surprise guests. It’s my hope that “Thriller” continues to live on for each new generation to discover. 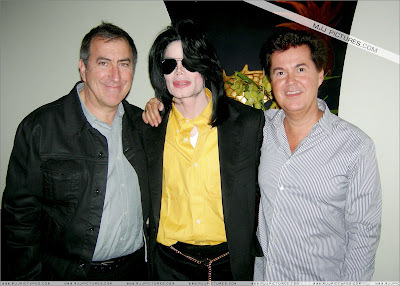 2009 - Michael (with Blanket and Dr Tohme Tohme by his side), meets an AEG delegation headed by Philip Anschutz, its billionaire founder, AEG's chief executive Tim Leiweke, Randy Phillips, who heads up AEG Live and Paul Gongaware. Michael signs a deal for 10 concerts in London next summer and he also accepts to submit to a rigorous medical check-up at his LA home. 1971 - Almost two weeks before the Jackson 5 returned to Gary, Mayor of the City of Gary, Indiana, Richard Gordon Hatcher, honored Jackson 5 by issuing a proclamation changing the name of the street they had once lived on from "Jackson Street" to be "Jackson 5 Boulevard" for the week of January 25, 1971 though January 31, 1971, and encouraged citizens to give those young men a warm welcome back to Gary. 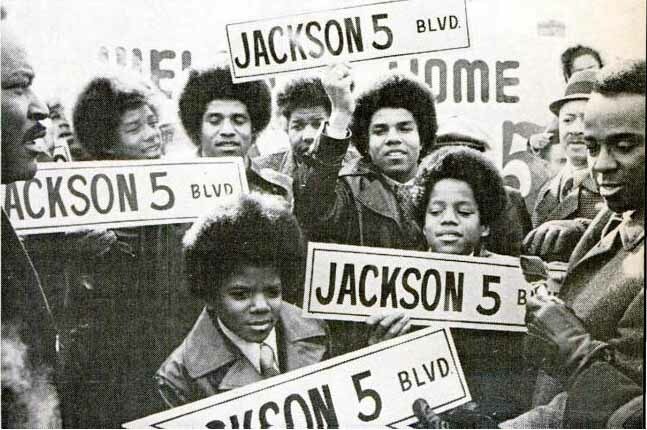 When the Jacksons landed in on January 31, they were presented with the new street signs in front of their old house at 2300 Jackson Street. 1975 - The Jacksons could be seen demonstrating parts of their family revue act on their second appearance on the Carol Burnett Show. Fans tuning in were treated to a funky lip-synch to Life of the Party from the recent Dancing Machine album, but also got a taste to what their parents and grandparents were getting in places like Las Vegas, with a tribute to vocal groups of the past; Mills Brothers, Andrews Sisters, Supremes, Sonny and Cher. "The single most damaging piece of information is where we're doing this. If that shows up anywhere, we've got a chaotic situation that could totally destroy the project. The moment a Prince, a Michael Jackson, a Bob Dylan—I guarantee you!—drives up and sees a mob around that studio, he will never come in." On the same night, Quincy Jones' associate producer and vocal arranger, Tom Bahler, was given the task of matching each solo line with the right voice. Bahler stated, "It's like vocal arranging in a perfect world". Jones disagreed, stating that the task was like "putting a watermelon in a Coke bottle". The following evening, Lionel Richie held a "choreography" session at his home, where it was decided who would stand where. 1988 - Michael's Bad was chosen as the Favorite Soul/R&B Single at the 15th Annual American Music Awards, hosted by Whitney Houston, Barbara Mandrell, Mick Fleetwood, Barry Gibb, Maurice Gibb, Robin Gibb, Smokey Robinson, at the Shrine Auditorium in Los Angeles California. He was also nominated for Favorite Male Artist - Pop / Rock. 1993 - Michael opens the 20th American Music Awards ceremony with a performance of "Dangerous" at the Shrine Auditorium in Los Angeles, Ca. Michael glitters in American Music Award winning two trophies and his third special award Monday at the 20th annual American Music Awards. 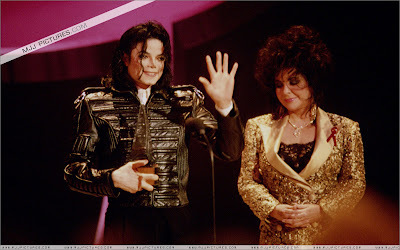 For the 20th annual American Music Awards, presented on Monday, Michael had 5 nominations. But the audience got to see him before any winners were announced as he opened the award presentation with yet another dazzling performance of his Dangerous album title track. A man dropped to the floor from machine gun fire, revealing Michael standing directly behind him. Dressed in a black suit with spats and a fedora, Michael joined several dancers in a Smooth Criminal flavored performance of Dangerous featuring his usual fascinating choreography with plenty of crotch grabbing and carefully timed sound effects. Thank you very much. I love you up there. I'd like to thank everyone at Sony Music, especially Mr. Morita, Mickey Schulhof, Tommy Mattola, Dave Glew, Bruce Swedian, Quincey jones, Sandy Gallin, Jim Morey, and of course, all my fans. I love you. Hi, Michael. Knowing how uncomfortable you feel when someone says something nice to you right up in your face, I went 3,000 miles away to do this. Now, the inscription on your award says, 'In recognition of his record-breaking international concert tours, and his album sales, and his heartfelt efforts to make this world a better place, the American Music Awards presents its first International Artist Award to Michael Jackson January 25, 1993.' In addition the American Music Awards are proud to announce that when the award is given in the future, it will be known as 'The Michael Jackson International Artist Award.' 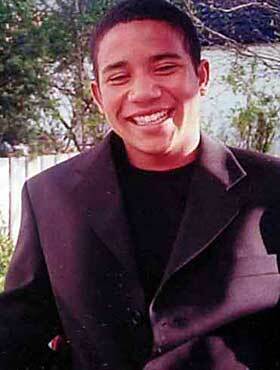 So, congratulations Michael, I know you better be smiling from ear to ear. I know you better smile bigger than that, I want to see gums! Congratulations. I love you very much, Elizabeth Taylor. Teddy Riley, you are a genius. Thank you Eddie, thank you all my friends. Traveling the world has been a great education for me and if there is one insight I've had it is this, wherever you go, in every country, on every continent, people yearn and hunger for only one thing, to love and be loved. Love transcends international boundaries and it heals the wounds of hatred, racial prejudice, bigotry, and ignorance. It is the ultimate truth at the heart of all creation. I would also like to thank God, and my mother and father, Katherine and Joseph Jackson. Thank you once again, I love you all. Michael, who had now removed the black leather jacket came from the wings and was brief in his acceptance. "I really wasn't expecting to win. Thank you again Teddy Riley, the public, I love you very much. Thank you." 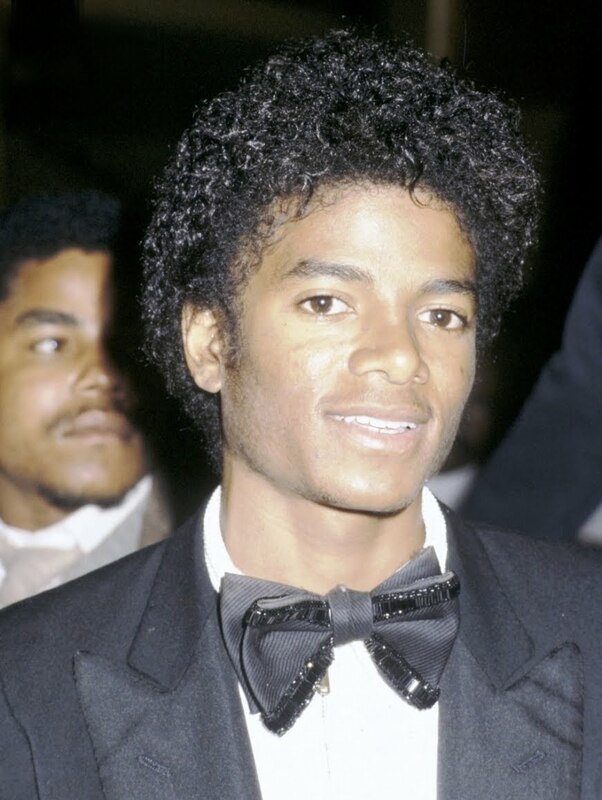 Having won in two of the five categories in which he was nominated and being named the International Artist of the Year, Michael was the night's big winner. Michael also received an honorary Merit award in 1984 and an Achievement award in 1989. He now has 14 of the awards in competitive categories. 1996 - Michael Jackson was named Hype Of The Year in "Rolling Stone's" Critics Poll. Michael goes to The Motown Cafe in New York with his make-up artist Karen Faye. 1997 - Michael waves 85% of the $5 to $6 million ticket receipts from a concert held on November 1, 1996 in Bombay, India, and donates 1,1 million dollars to a local NGO educating children dwelling in slums - "Shiv Udyog Sena" - the sum also helping to create jobs for 270,000 young unemployed people in the state of Maharashtra, Bombay; on arriving in Bombay, the singer asks to stop in order to converse with children playing in the crowded slums for 20 minutes, according to Indian journalist, Hema Shukla. 2002 - Michael's INVINCIBLE album goes two times Multi Platinum in the USA with sales over 2 million. INVINCIBLE was certified double platinum by the RIAA. Regina Jones interviewed Michael for the March 2002 issue of Vibe magazine at his Neverland Valley Ranch in Los Olivos. 2006 - Michael is spotted shopping in Manama. Michael, disguised as a Bahraini woman, wears an abaya, the traditional Arabic women's veil and all-covering gown, a white shirt and men’s shoes. His head and face were wrapped in a black veil and he also wore black gloves. He was accompanied by Blanket, Prince, Paris & Grace, was seen leaving Marina Mall in the Bahrain capital, holding Blanket by the hand. On the way out a back door, he shook hands with security guards.